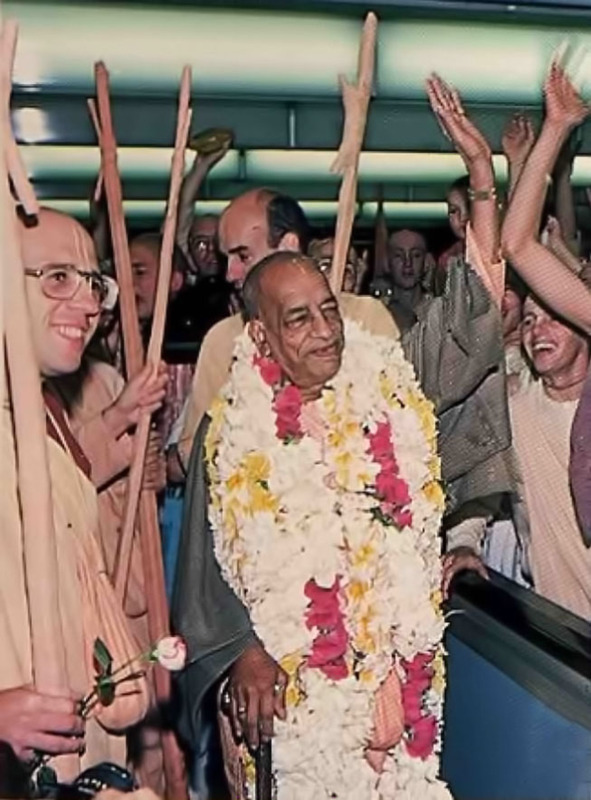 At 9:00 p.m. on June 1, His Divine Grace A.C. Bhaktivedanta Swami Prabhupada stepped from a plane at Los Angeles International Airport and began his summer tour of the United States. Greeting him were hundreds of his disciples from the many West Coast Krishna conscious communities. Srila Prabhupada stayed ten days at the Los Angeles Radha-Krishna temple (the most populous of the more than eighty centers throughout the world) and then flew on to centers in Toronto, Pittsburgh, New Vrndavana (West Virginia), Washington, and New York. On May 9, Srila Prabhupada laid the cornerstone for a majestic temple in Lautoka, Fiji. The new facility will be known as the Krishna-Kaliya temple, in commemoration of Lord Krishna’s pastime of punishing the great serpent Kaliya, during His advent five thousand years ago. Before the ceremony, ISKCON devotees chanted Hare Krishna and danced in a large procession through Lautoka’s main street. At the stone-laying ceremony, hundreds of leading Fijians (including Lautoka’s Mayor Hari Punja) listened attentively as Srila Prabhupada explained what principles the Krishna consciousness movement upholds, and how it is working to propagate those principles throughout the world. There’s one science that nearly all of us want to know about: the science of the self. The Eastern counterpart of what Westerners call psychology is yoga, the science of linking the self with the Supreme Self—a treasure long “locked away” in the Sanskrit language of ancient India’s Vedic literatures. 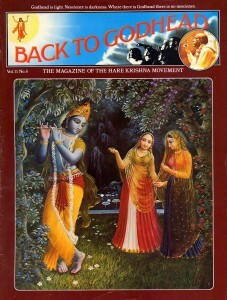 No wonder, then, that His Divine Grace A.C. Bhaktivedanta Swami Prabhupada’s word-for-word translations and clear-cut explanations of the Vedic literatures have won the acclaim of psychologists.